Midwest Living (January 2017) – Midwest Living has recently selected Diamond Cabinetry's under cabinet Toekick Vacuum as a top kitchen innovation from the 2017 Kitchen & Bath Industry Show and has featured it in a selection of nine innovations that make life easier while also enhancing function in the home. The Toekick Vacuum Cabinet will be available starting June 2017. 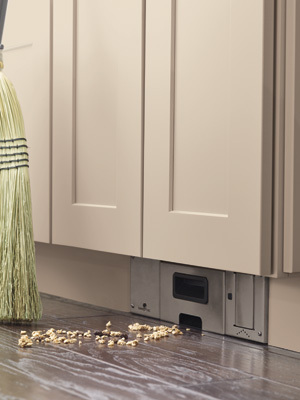 With a 120-volt strong suction, debris is swept into a hidden disposable bag within seconds, eliminating the need for a dustpan and accelerating everyday cleanups.